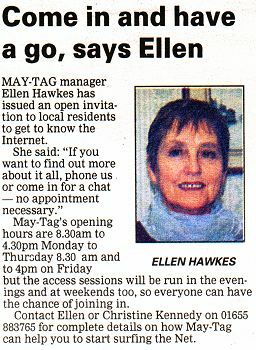 MAY-TAG has a dream ....to encourage EVERY resident in Maybole to use the Internet. And the local training agency launched an ambitious project to turn that dream into reality. Click on the article below to learn more.